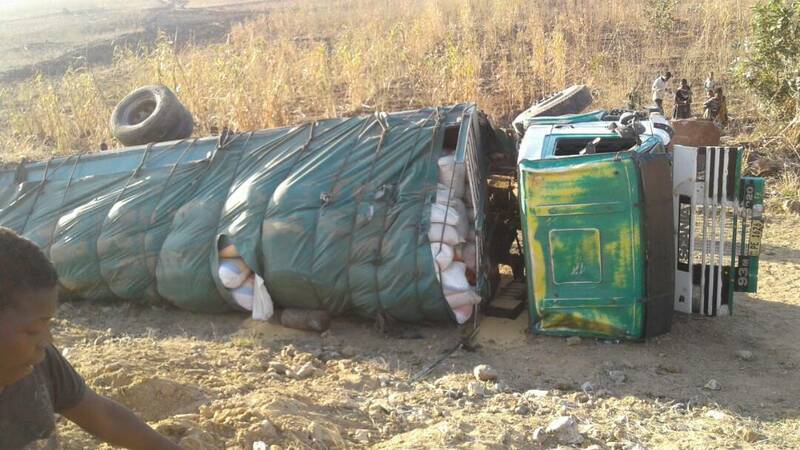 A truck loaded with bags of Soya pieces has reportedly collapsed in Chiradzulu along Nantholo road. The accident happened this morning and no lives have been reported lost. The truck`s registration number is PE 1626. Following frequent road accidents, police in the country are still advising all road users to observe traffic rules to avoid unnecessary accidents.